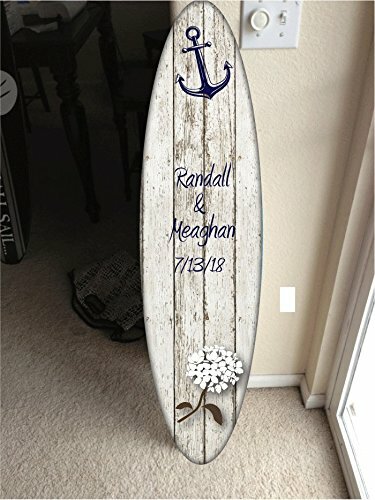 You are bidding on a custom made themed surfboard decor... It is made of high quality 1/2" plywood painted and vinyl graphiced. I put 2 coats of gloss clear coat to give it a beautiful shine to it... Pick a name or saying to go on the board. This name can be changed to anything.. for custom work please contact me let me know what you want and i can list it and send you the link. I also send you a proof of your custom board before i even make it... the board itself is 48" long and 12" wide... If you have any creative ideas for a surfboard please let me know... Anything is possible.